For 20 years, Eve Bridburg has been helping writers to become compelling storytellers. As the founder and executive director of GrubStreet, the largest creative writing center in the country, she oversees hundreds of workshops and classes each year, and her literary orbit now includes thousands of students. 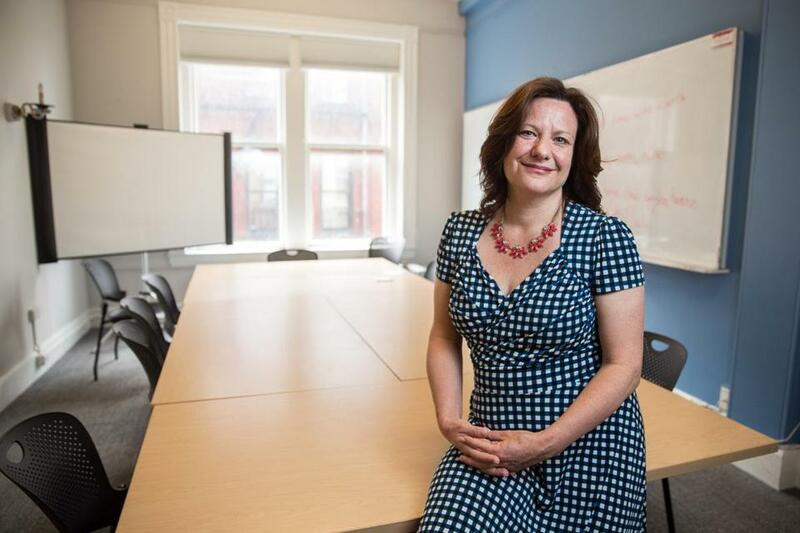 She spoke with the Globe’s Janelle Nanos about the surge in public storytelling, and the organization’s efforts to use writing exercises to help shape the political debate. 1) Bridburg started GrubStreet in 1997 , when there were few outlets for creative writing to be published beyond the traditional publishing houses. Yet she found a nontraditional audience looking for an outlet. 2) From podcasting to self-publishing, Bridburg is thrilled that storytelling seems to be having a moment. But she’s working hard to make this new publishing era as inclusive as possible, by creating groups for writers of color, bilingual workshops, and hiring instructors that reflect a range of ethnic and socioeconomic backgrounds. 3) After years of advocating for more cultural literacy in the public sector — including the creation of Boston’s Literary Cultural District — Bridburg took a more outwardly political stance in May when she hosted Grub Street’s first Write-In event. From the steps of the Boston Public Library, she invited the public to share stories in support of the rights of refugees and immigrants. 4) Perhaps not surprisingly, when she’s not working, Bridburg enjoys digging into good book. 5) She acknowledges that while Boston may no longer be the publishing center of the universe, the city’s literary community is robust, and growing.